Why would I need self storage in Auburn, WA? There are a variety of reasons why you might need self-storage in Auburn, WA. How much is a storage unit in Auburn, WA? The cheapest storage unit in Auburn, WA is $41.00 per month. What size storage units do you have available in Auburn, WA? In Auburn, WA we have sizes that range from 5'x5' to 10'x20' to suit your storage needs. How much is it for a 5'x5' storage unit in Auburn, WA? The cheapest 5'x5' storage unit in Auburn, WA is $41.00 per month. Auburn is a large suburban city in Washington's Pierce County. It has experienced impressive growth in recent decades, nearly doubling between 2000 and 2015 alone. Because the town is only about 20 miles from Seattle, it's no surprise that it's growing quickly. Families, working professionals and many others move to Auburn to be close to the city. Auburn has been an important area in the state for more than 150 years. It began as a farming community and has evolved into a center for industry and business over the years. The first railroad, the Northern Pacific Railroad, came through the town in 1883, and the Seattle Tacoma Interurban line started coming through in 1902. After World War II, Auburn prospered. Businesses sprang up all over the town, and it also gained a community college. 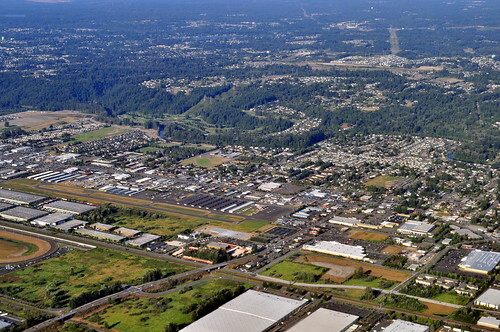 Over the years, most of the farmland in the area was replaced by industrial development, and the city became a major suburb in the Seattle metro area. Originally, the community was named Slaughter, after Lieutenant William Slaughter. However, the town was renamed in 1893. As Auburn developed into the city it is today, a considerable amount of effort was put into establishing local attractions and amenities. There are nearly 30 different parks throughout the city and more than 20 miles of hiking, walking and biking trails. Close to 250 acres of the city are devoted to open space and park-land, so you'll never have to travel far from home to enjoy the outdoors. The White River Amphitheater is one of Auburn's primary cultural institutions, located just outside its city limits. Over the years, it has hosted many major musical performances, including well-known artist Sting and the Royal Philharmonic Orchestra. If you're interested in learning about the city's history, you can visit the White River Valley Museum, which features many local artifacts and educational exhibits. You'll also find plenty of shopping and dining options in Auburn. The city is home to one of the region's major shopping destinations, The Outlet Collection Seattle. The Auburn School District manages the public schools that serve Auburn, Lake Tapps, Algona, Pacific and several unincorporated areas. There are also a few private schools in the area, most of which are faith-based campuses. Utilities: The city provides water and sewer services, while Puget Sound Energy is the primary electricity provider. Garbage and Recycling: Single-family homes in Auburn receive curbside collection services for both trash and recycling. Your home's location determines your pick-up schedule, and you can find your pick-up days by looking up your address on the city website. Transportation: Metro Transit, Pierce Transit and Sound Transit operate the public transportation networks in the Auburn area. Home prices in Auburn are on the rise, rapidly increasing as demand for housing grows. This is good news if you're looking to make a good long-term investment. You can find a variety of homes to choose from, including new construction, single-family homes on large lots, town houses and apartments. Whether you're looking to buy or rent, the Auburn housing market has plenty of options for you to consider. Our lowest priced units in Auburn, WA average $50.33 per month. 135 people have reserved units in Auburn, WA in the past 30 days. There are 3 locations within Auburn, WA's city limits.